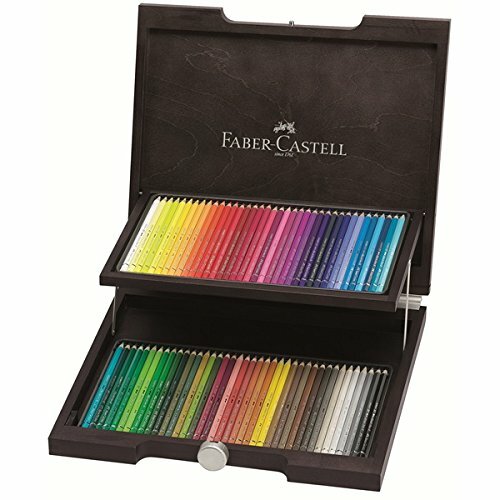 This Albrecht Dürer wood case of 73 watercolor pencils will enable any artist to produce unrivaled watercolor effects. The pencil drawing can be changed with only a few brush strokes to show the entire vivid range of the colors. If used on fine quality watercolor paper, the pigments of these pencils can be completely dissolved, performing in the same way as watercolor paints. The paint becomes set when completely dry, allowing other layers of color to be layered upon it without causing it to dissolve again. This set is a wonderful addition to any collection.